Food Justice & Policy Class this fall! Photo credit: Nuestras Raíces youth leaders’ Photovoice project, 2013. Why are food power and justice important for our communities’ health and environment? How do we frame racial equity in our food policies? This course examines the role of policy in determining WHAT we eat, WHO experiences barriers to access to safe, healthy, local, fairly produced foods, and HOW we create equity and sustainability in our local food system. Learn about key local, regional and federal policies framing the food system and public health. Engage with experts who are changing food equity. This course is generally restricted to Sustainable Food and Farming majors but we can waive this requirement for students who are interested. Contact the instructor for help. This post is one of the reading assignments in my class, STOCKSCH 391A – Dialogue on Agricultural Issues, taught during the Fall semester 2018. 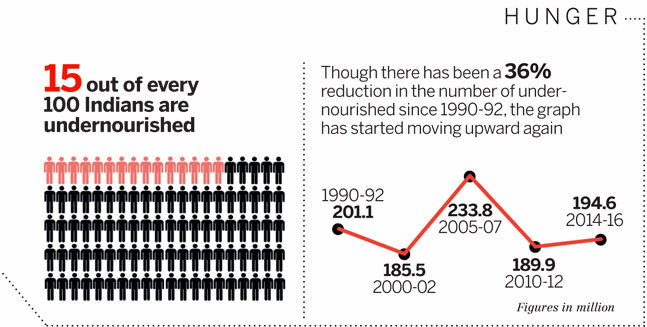 There is no reason why India should face hunger and malnutrition, and why our farmers should commit suicide. 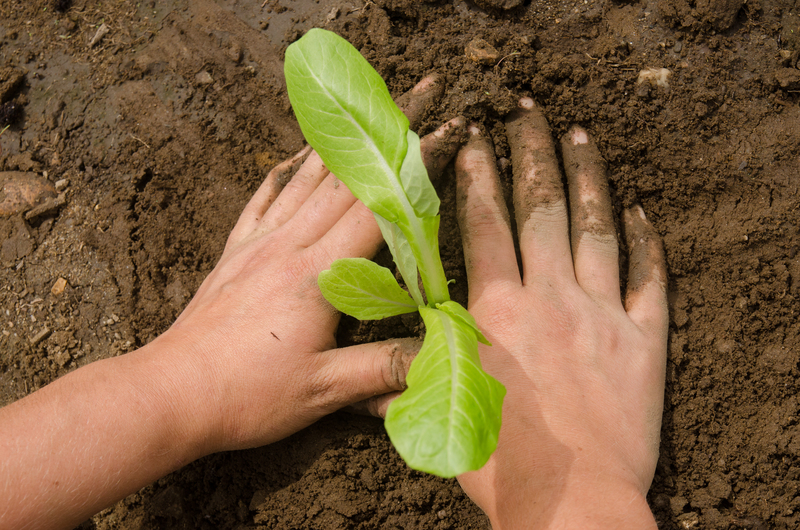 India is blessed with the most fertile soils in the world. Our climate is so generous we can, in places, grow four crops in a year, compared to only one in most of the industrialised West. We have the richest biodiversity in the world, both because of diverse climates and because of the brilliance of our farmers as breeders. They have given us 200,000 varieties of rice, 1,500 varieties of wheat, 1,500 varieties of mangoes and bananas. NOTE: If food justice is of interest, you might be interested in our new online class, Food Justice and Policy, being offered this summer at UMass Online! A new book aimed at the socially conscious food activist explores how our food system can be a place for transformation through an alliance between the progressive and radical wings of the food movement. As advocates for a just food system, most of us try to live by our beliefs. Shopping at the farmers markets: Check. Buying local and grass-fed: Check. We rail against Big Food, yet don’t dare, or bother, to look too far beneath the surface when we shop at Whole Foods or order from the organic aisle of Fresh Direct. We are walking, kale-stuffed characters out of Portlandia, better-intentioned than informed. After all, what are we really doing to change the system? We are just one week out from the 2018 PVGrows Forum and we are nearing capacity! Register today to secure yourself a seat on April 7th as we dig deep on the urgent and timely topics facing the Pioneer Valley food system. Join us to broaden and deepen your relationships with others in the field while identifying paths to take collaborative action for a more just, equitable food system! 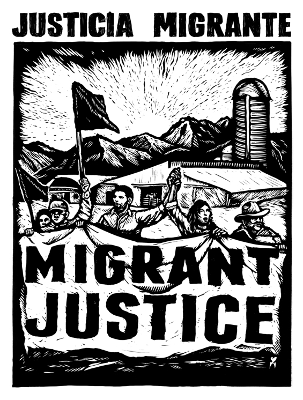 Migrant Justice organizes immigrant farmworkers and allies in the state of Vermont for human rights and economic justice. Founded in 2009 after the death of a young dairy worker, the organization brings the farmworker community together with community assemblies to create a vision and roadmap for advancing human rights through collective action. In the decade since its founding, Migrant Justice has received national accolades for its cutting edge grassroots organizing, winning access to driver’s licenses for immigrant workers and the country’s strongest statewide policy preventing police collaboration with deportation agencies. In 2017, Migrant Justice signed a contract with Ben & Jerry’s ice cream to implement the organization’s worker-driven social responsibility program “Milk with Dignity” in the company’s supply chain. This program is now transforming conditions and securing human rights on farms across the state. Both rural and urban agriculture face challenges related to land access in the Pioneer Valley and beyond. Our region’s long history of enslavement, racial discrimination, and anti-immigrant biases has forged the patterns of land and wealth distribution that exist today. Join us to explore this history, the challenges that exist in the field of land access today, and opportunities for taking action moving forward. Now is a time of heightened stress and fear for foreign-born residents of the Pioneer Valley and beyond. Foreign-born residents play a substantial role in the food system of our region and now, more than ever, it is essential to support the food system workers of the Pioneer Valley. Join us as we examine the current lay of the land for immigrants working in the food system and explore approaches to taking action moving forward. What’s the Farm Bill? Why does it matter? Build your toolbox, and take away actions your communities can do at the State and Federal levels to preserve the programs that ensure healthy food is accessible to all. The Trump Administration’s 2019 Budget proposed cutting SNAP’s budget by over $200 billion in the coming decade while radically restructuring the entire program. This session will feature updates on the current status of this and other essential programs like Farm to School and FINI, the federal grant program that funded HIP, while offering an opportunity for developing strategies across our communities for protecting current funding levels and new ways of moving forward. For more information, visit the 2018 PVGrows Forum event page or contact Noah Baustin, the 2018 PVGrows Forum Coordinator.